We undertake to comply with the obligations and requirements of the Personal Data (Privacy) Ordinance (the “Ordinance”) of the Hong Kong Special Administrative Region (“HKSAR”). We are committed to protecting the Personal Data of all individuals in relation to the collection, storage, use, transfer and access of Personal Data, and endeavour to keep all Personal Data safe in compliance with the obligations and requirements of the Ordinance. For the purposes of this policy, “Personal Data” shall have the meaning as defined in the Ordinance. g) receiving your application for a job with us. Knight Frank Group has procedures in place to maintain Personal Data at a reasonable level or accuracy, completeness and relevancy for the purposes for which the Personal Data was collected. We will only retain your Personal Data for as long as it is necessary to fulfil the original or directly related purposes for which it was collected, or to satisfy applicable statutory or contractual obligations. Access to your Personal Data will be restricted to our staff who need to contact you, provide services to you, or process your job application. - to process your job application. - law-enforcement agencies, government departments, regulatory bodies, courts, tribunals, and/or other authorities as required by law. 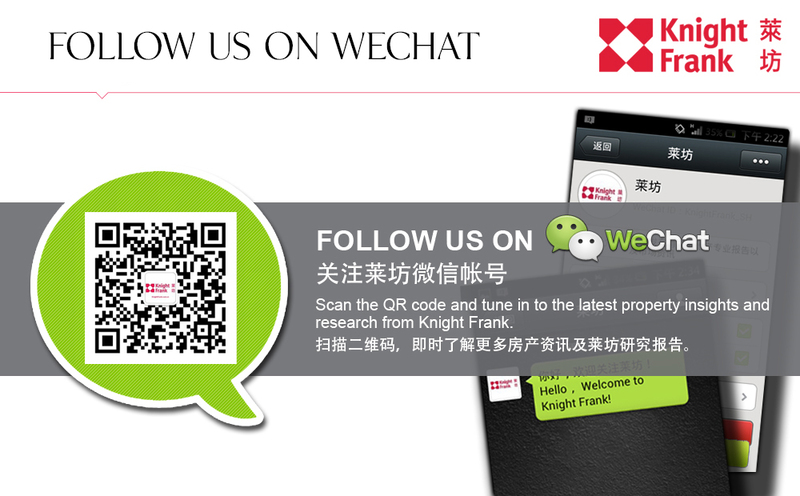 Knight Frank Group safeguards all information provided by you. We do not collect any personally identifiable information from you during your browsing of our website unless you choose to provide that information to us. We will however make a record of your visit and store information including internet protocol (IP) addresses, browser type, referring/exit pages, operating system, date/time stamp, and clickstream data. We use such information only for preparing general statistics on the usage of our website. A Cookie is a small file which contains a unique alpha numeric number selected on a random basis. We will automatically place a Cookie on your computer which enables you to make full use of our website’s functionality. In accordance with the Ordinance, you have the right to access and/or correct your Personal Data. Please write to direct.mkt@hk.knightfrank.com, if you wish to request access to data, correction of data, or have any questions regarding the types of data held. In accordance with the Ordinance, we have the right to charge a reasonable fee for processing any data access request. In accordance with the Ordinance, if you do not wish us to use your Personal Data for direct marketing, we will not do so. Upon receipt of your consent, we may use your Personal Data including name, telephone number, fax number, email address and correspondence address to deliver promotional materials relating to real estate services. To stop receiving such promotional materials or to start receiving the same (if you have previously unsubscribed from receiving such materials), please write to direct.mkt@hk.knightfrank.com.